The Waterfront Alliance of Williamsburg and Greenpoint passes along news that one of the most significant remaining set of historic industrial structures in North Brooklyn will be before the Landmarks Preservation Commission on Tuesday (4/17). Two buildings have already been demolished by developer Isaac Katan, as part of a development that will dramatically alter a building at 104 West Street. 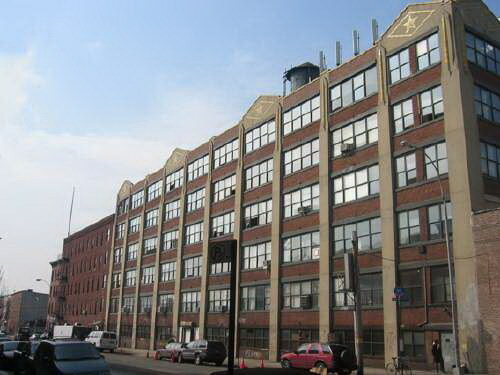 Among the buildings up for "calendaring" by the LPC are the iconic pencil building at 61 Greenpoint Ave. and the original pencil factory building at 37 Greenpoint Ave. Also included are the buildings at 58 and 59 Kent Street, and the building at 104 West Street. More details and a lot more photos, and a map over at the WPA's blog.